How to Make Whole Leaf Ferments? 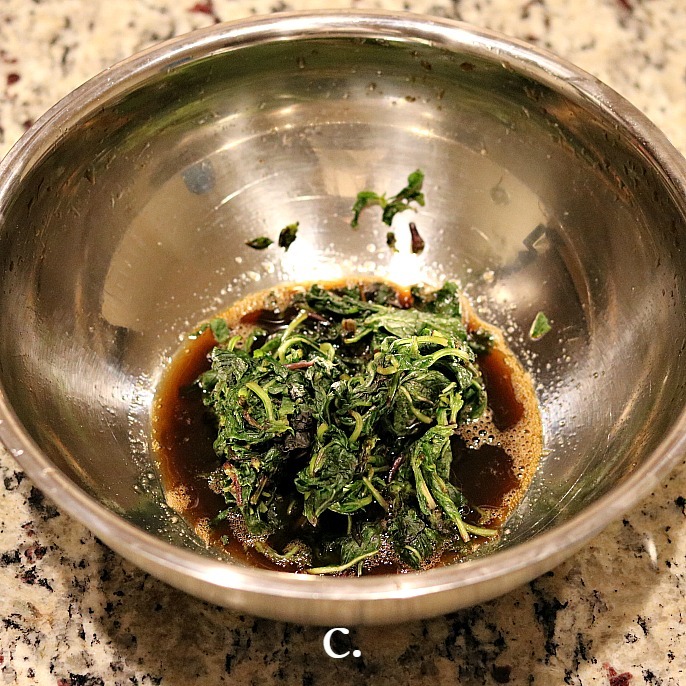 After removing the leaves from the stems, you add salt and toss gently (a). 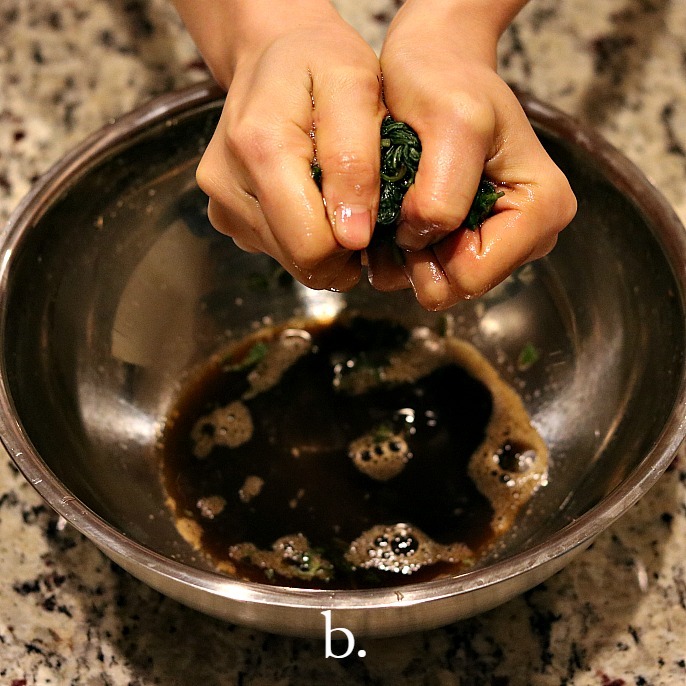 Leaves will wilt and the brine starts to form as soon as you massage them slightly (b and c). 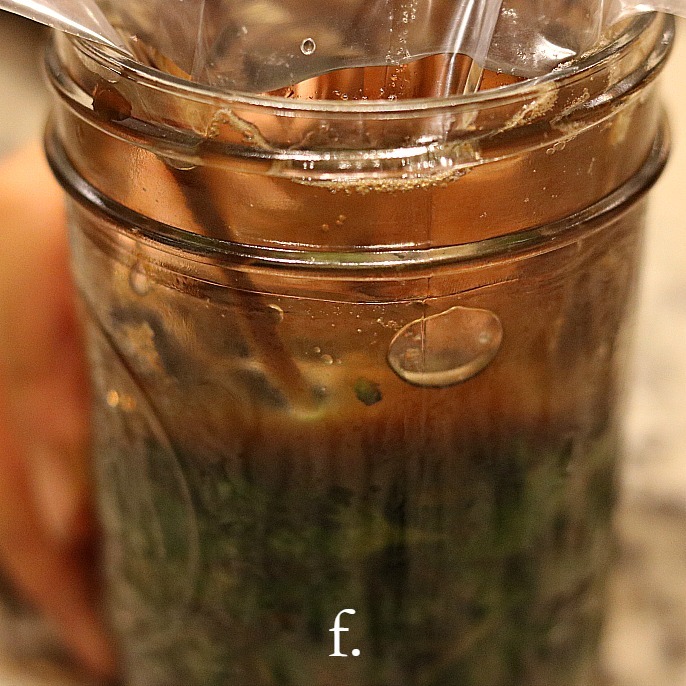 Then the rest of the process stays the same: you pack the leaves tightly enough into the jar and have enough juice to keep them submerged under the brine; add followers (d and e), while leaving space between the top of the brine and the rim of the jar (f). The images below show that I used a Ziploc bag in the experiment. If you use cabbage leaves as the followers, you then need to seal the jar with a lid, label the bottle with a date and other notes you want to jot down; and, lastly, place the jar into a container in case the juice leaks over the next few days.